I have always loved exploring. I like finding new places and looking around, finding all the little hidden delights that a new place could hold. However, because I'm a little bit more cautious and unsure of things nowadays I very rarely will go into unfamiliar environments. 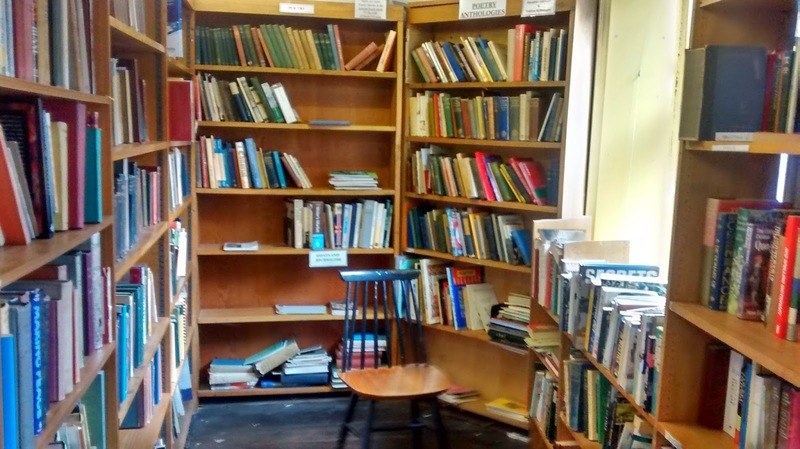 I've been on holiday in the Lake District this week, and whilst I was there we came across a second hand book shop. From the outside it didn't look like much, the shop window displays weren't very well done, the building looked small and grotty and it just didn't look to inviting but despite this I really wanted to go inside, because duh who wouldn't want to explore a old book shop? My mum wasn't too up for it but she agreed to come in with me all the same. I can honestly say it was an absolutely lovely shock inside. The ground floor was split in two, one side was good condition second hand books, with no real order, the second half was like a little gift shop selling really cute things and art supplies. Then there was two old pairs of stars leading upwards. Old tattered, with the banister half hanging off I wasn't sure if I really wanted to go up but it said that there were more books upstairs, so I just had to go! I was pleasantly shocked upstairs. 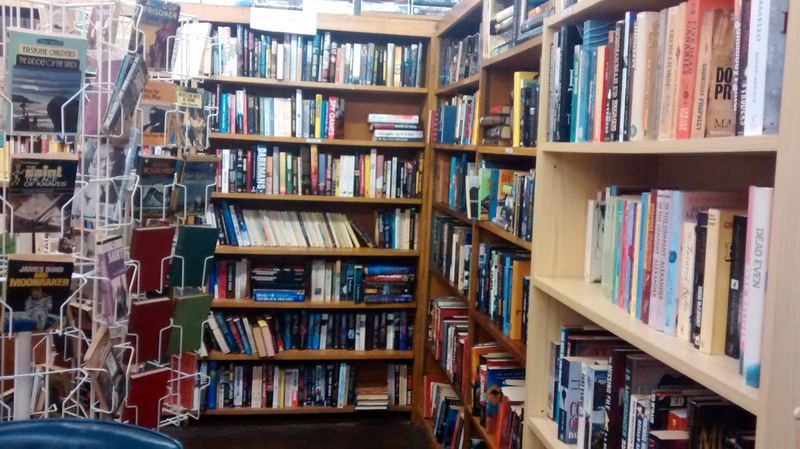 There was a maze of three new floors of books. Some were antiques, others were just grotty, loved second hand books that weren't in good enough condition to live downstairs. (All of the photos are from the upper levels.) There were a grand total of 32 rooms upstairs and it truly was a maze to get round. The whole place was split up into sections but not in alphabetical order or anything like that. If you wanted to find a specific topic you really had to hunt around for it. It was great. 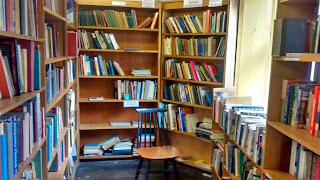 Some rooms contained only one shelf of books but large wooden tables with worn out green leather arm chairs. Others had draws of individual sheets of incredibly old books (this was in the antiques section) and even one there was a small cafe! 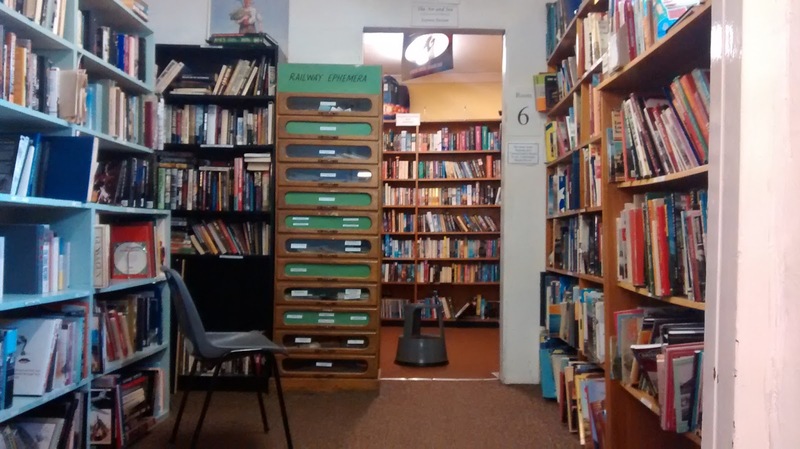 The whole upper levels smelled of a mixed aroma of musky old books and fresh coffee. It really was a wonderful little place, we spent an hour exploring the upper levels alone. This place really was a little hidden jem. Looking at the outside appearance it didn't look too special, inviting or nice. However, inside a little adventure awaited. Ever heard the phrase "Don't judge a book by it's cover"? how about don't judge a book shop by it's cover. This place was a lovely surprise that I just had to share with you guys. So yeah, keep exploring. who knows what you'll find. I'm glad you decided to enter the bookstore and share the experiences with us! 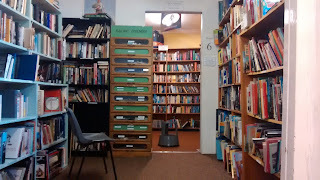 Bookstores are really gems, especially those conventional bookstores, not franchise branches. I'm enjoying your blog, hope to see more of your adventures and thoughts soon! 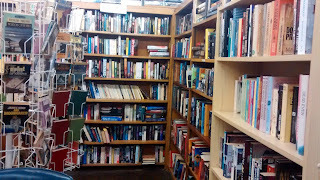 Yeah, I do love the little tucked away bookstores you can find.